The undersigning organizations condemn the assassination of Aldemar Parra García and express our deepest condolences to his family. On January 7, Aldemar was assassinated by two unidentified gunmen on a motorcycle on the route from El Hatillo to La Loma in broad daylight. He was a community leader and active trade unionist, until recently employed in the mine of Colombian Natural Resources (CNR). Parra leaves his wife and three children behind. The murder of Aldemar is not an isolated incident. Unfortunately, this murder fits a pattern of violence against civil society and their leaders that we see across Colombia and in the mining region of Cesar. According to the report ‘Civil society under Threat’, in Cesar at least 200 leaders became victims of threats, assaults and killings during the period 2012-2016. It is important to point out that all of these victims are social leaders whose efforts are considered by certain sectors of the Cesar population to be critical of the impact of mining activities in the region. Most of these acts are claimed by or carry the signature of neo-paramilitary groups, who claim to defend the interests of the mining companies and other economic actors in the region. 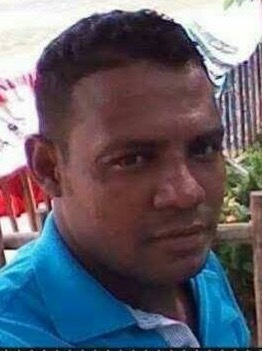 For example, last September Néstor Iván Martínez, leader of an Afro-Colombian community resisting the expansion of the mines owned by the American mining company Drummond, was assassinated shortly after having been threatened by a neo-paramilitary group. Aldemar was an active member of the community of El Hatillo; a rural community that since 2010 has been involved in a lengthy process of involuntary resettlement with three mining companies. He was a family member of several community leaders who were critical towards a resettlement plan recently proposed by the mining companies. Since 2014 the community has reported an increasing number of security incidents, e.g. leaflets, text messages or phone calls threatening community members. Since September 2016, inhabitants of El Hatillo have reported the presence of unidentified armed men in the vicinity during the hours of darkness. The condemnation of the murder of Aldemar by Prodeco and Drummond (as a specific incident) is a first step, but more actions are necessary to effectively mitigate the violence against civil society in Cesar. to undertake – in line with the peace agreements – effective actions to crack down on and prosecute the members of any illegal armed group that operates in the mining region of Cesar. to search for effective and just solutions for the impacts of mining on the local population in the region, including remediation of grave human rights violations in the recent past, and addressing dwindling livelihood opportunities and unhealthy and unsafe working conditions.